Robyn's Special Yoga Class. Dec 25. Flow and Restore. Take a break from your holiday. Find connection, gratitude, strength, and rest. This Christmas day class will be themed around Lakshmi. 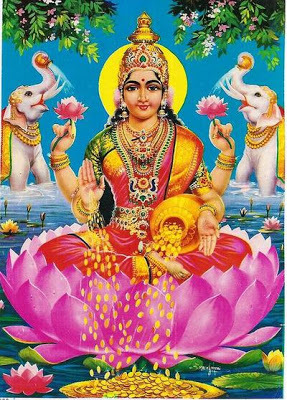 Lakshmi is the hindu goddess of abundance. When we have Lakshmi with us we have everything, inner and outer, for a beautiful life. How do we get her with us? By recognizing her. She is always with us. The moment we can discern all the beauty and enoughness that exists with in us and around us we are showered with her golden gifts of beauty, light and love. FLOW AND RESTORE DESCRIPTION: Expect to find strength, length, calm and spaciousness in the body and mind. Starting class in a vinyasa style, cultivating warmth while linking breath with movement. We will build strength, maintain mobility and deepen awareness. Spending the second part of the class in supported restorative poses. Restoring the nervous system, calming the mind and body. Offering a well rounded practice to all level practitioners. 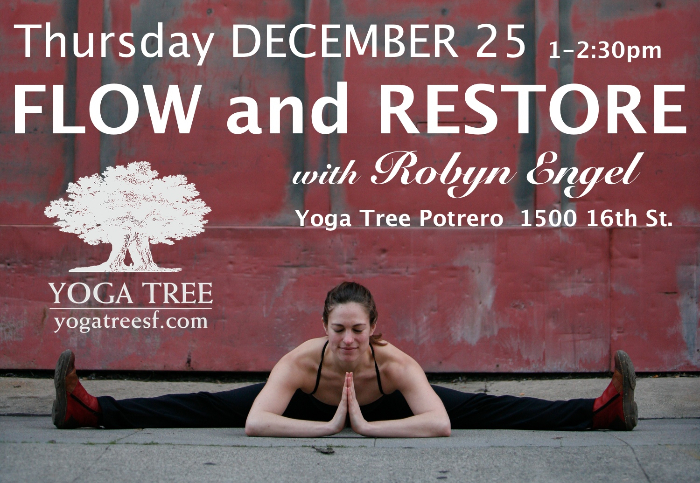 Yoga Tree Potrero - 1500 16th St.